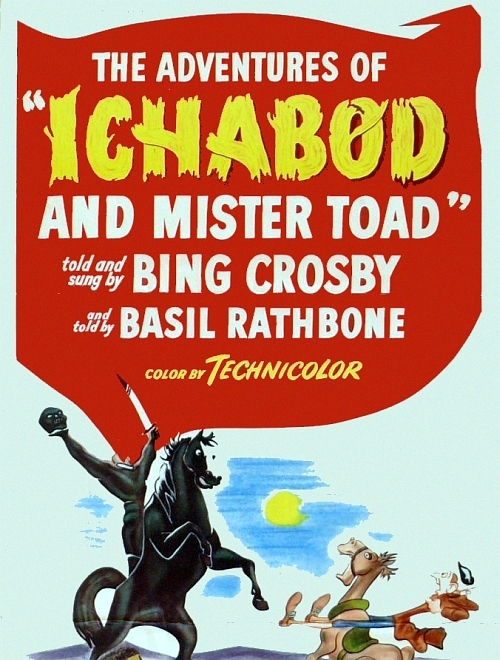 What It’s About: Bing Crosby narrates and sings the story of Ichabod Crane, a schoolmaster in Sleepy Hollow, New York, that runs afoul of The Headless Horseman, the ghost of a Hessian soldier who was decapitated by a cannonball during the Revolutionary War and now searches for his head. Why Watch it Today? : Today is International Animation Day, and shockingly close to Halloween. As a child one of my favorite stories of the season was The Legend of Sleepy Hollow, especially in the form I was first exposed to it: this classic animated “short” which is really one half of a feature The Adventures of Ichabod and Mr. Toad. This entry was posted in Adaptation, Animation, Based on a Short Story(ies), Family, Ghost, Holiday, Horror, Movie of the Day, Musical, Remake, Short and tagged "And I would have gotten away with it...", Bing Crosby, Disney, farmers, ghost story, manipulative woman, RKO, teachers, Walt Disney, Washington Irving.